Please note the important advocacy news items below that are of high priority to the cutaneous lymphoma community. We encourage you to learn more about these issues and how, together, we can affect positive change and grow support for the issues that are most important to people affected by cutaneous lymphoma. Volunteer Christina McDonald attended the fall National Coalition for Cancer Survivorship Roundtable and shared her take-aways from the meeting. The National Coalition for Cancer Survivorship is a nonprofit organization that advocates for quality care for individuals touched by cancer. The National Coalition for Cancer Survivorship's (NCCS) resource page for policy updates, calls to action and survivor stories related to the Affordable Care Act. As Congress considers repealing and replacing the ACA, the NCCS will provide regular updates about replacement proposals, what they mean for cancer survivors, and how survivors and advocates can make their voices heard in this debate. 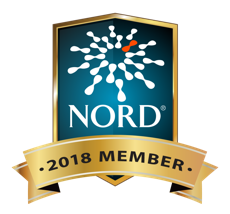 The National Organization for Rare Disorders' (NORD) State Report Card serves as an evaluation of state policies pertinent to the rare disease community. With it, NORD hopes to provide a road map to the rare disease community of where each state can improve and, ultimately, push forward the discussion on rare disease public policy. 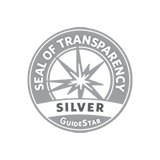 Learn more about how your state rates on the key issues of medical foods, newborn screening, prescription drug cost sharing, medicaid/CHIP eligibility, biosimilars, step thearpy and rare disease councils. With their website, the FDA welcomes the unique perspective of patients, family members, caregivers and patient advocates directly affected by serious disease, to the Agency’s decision-making processes. Get involved....your voice counts! Advocacy - Why Are You Asked To Take Action So Many Times? Ever wonder why you may be asked to frequently contact your congressional representative on the same bill? Truth is, Congress can vote on a bill five times before it becomes law. Why five times? And, why is it so important for you to act each time? Watch the American Cancer Society's 90-second video to explain why.